Welcome to the website of the Embassy of the Republic of Serbia in London. 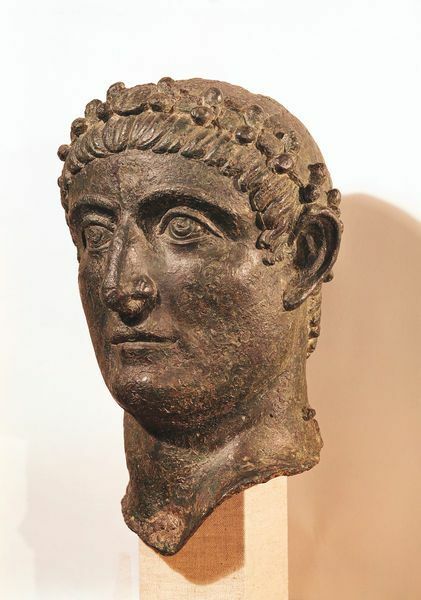 We invite you to have a look at the image above; it is the head of the Roman Emperor Constantine dating from the first quarter of the 4th century of the Christian era. It was excavated in Serbia, where Constantine was born around 274 AD in the city of Naissus (what is today Serbia's second largest city of Niš) in then Roman province of Moesia. This man born in Naissus was in 306 AD acclaimed as Augustus in York in another Roman province, Britannia (what is today United Kingdom). He subsequently laid down foundations of the medieval and post-medieval European Christian civilisation and his life excellently shows how ancient are the links between our two countries. In Middle Ages Serbia was a prosperous kingdom, while England was beginning its rise as a great European power. In the 15th century the realm of Serbia was conquered by the Ottomans. In early 19th century Serbia re-established its independence. In 1837 the first British consul George Lloyd Hodges came to Serbia thus marking the establishment of diplomatic relations between our two nations. In the 20th century our country fought together with Britain in both world wars. In early 21st century Serbia is undergoing major economic and political reforms in order to modernise its society and achieve EU membership. In the past period, Serbia has made a significant improvement on its path towards EU membership. Following the decision of the European Council of June 2013 to open negotiations, the First Intergovernmental Conference on Serbia's EU accession took place on 21 January 2014, on which occasion accession negotiations on membership were formally launched. The initial stage of negotiations- analytical overview and assessment of conformity of Serbian regulations with the EU acquis and their application (screening) had already commenced in September 2013.The United Kingdom is sincerely committed to the enlargement of the EU and thus Serbia enjoys Britain’s support on its European path. We expect that trade and British direct investments in Serbia will significantly expand in the years to come, marked by the accession negotiations, Serbia’s gradual implementation of the EU acquis and its eventual EU membership. Mutual differences with respect to the problem of Kosovo notwithstanding, Anglo-Serbian relations are very good, deeply rooted in history and soundly based on the common values that we share. A major contribution to these links is given by the members of Serbian diaspora in the United Kingdom, whose number is estimated around 70,000. Fully integrated into the British society due to their diligence and commitment to hard work, they retain their ties with the parent country thus creating a very solid bridge which connects two nations from the different parts of Europe.